Home / Disease / Health tips / Home Remedies / Slipped Disc- Symptoms, Exercise, Treatment Everything you need to know about it. Slipped Disc- Symptoms, Exercise, Treatment Everything you need to know about it. Slip Disc- Symptoms, Exercise, Treatment Everything you need to know about it. The slipped disc is also known as a herniated disc or slip disc. In slip disc, one or more than one spinal disc of our backbone bulges out or dislocates from its exact position which results in the extreme pain in the backbone. Due to the pain of slip disc, the person finds it hard to move, sit and can not give any pressure to back and cannot lift the weight. I am going to tell you the slip disc symptoms, slip disc treatment, slip disc exercise, and slip disc treatment without surgery. A Slip Disc (also called herniated disc) is a type of spinal injury. It occurs when the cartilage in backbone bulges out from the vertebrae between the spinal cord. This swelling can come in contact with nerves that can cause severe pain. A herniated slip disc is an injury that can occur due to heavy lifting or trauma in the back. Usually, the injury is treated with yoga, physiotherapy, exercise, and anti-inflammatory drugs. While a herniated disc causes pain in the lower back, it usually locates on one side or the other. In addition, people often report shooting pains that run down over legs. The person feels weakness in body and you become unable to lift heavy things. you cannot stand or sit for a longer period of time. pain in sciatica nerves which is located near your backbone. 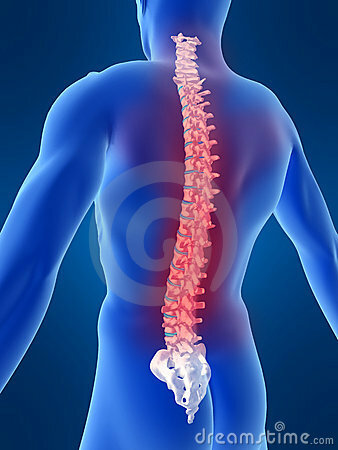 If you feel pain in your lower back for more than one week then you should consult a doctor about it. slip disc can be diagnosed by the following tests X RAY while x-ray report cannot exactly tell about the slip disc. but doctor discovered that the pain caused by slip disc or fracture or tumor in backbone. MRI- MRI creates a detailed 3D image of the spinal cord in the area surrounded by it by using radio waves magnetic field and a computer. through MRI reports doctor can locate the exact position of the slip disc and also Check that which nerves are Affected. CT SCAN- CT SCAN captures many images of the spinal cord from different angles and merges them to create a picture of your spinal cord. which can help in the diagnose of slip disc. Slip disc treatment is possible by doing slip disc exercise in an earlier stage. Heating pads and physical exercises can be also done which will be discussed below. 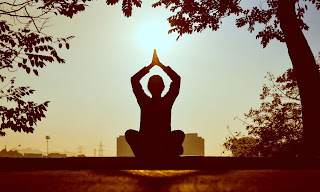 It can be treated by taking nonsteroidal, anti-inflammatory drugs and therapies like physiotherapy, Chiropractic treatment techniques, and with some stretching slip disc also can be treated at home or by yoga and acupressure. At later stages, surgery is the only option but after surgery, it is not sure that it will be cured completely. To relieve the slip disc pain, Lumbar Support devices can be used. These devices may not cure the pain but it will give relief from pain. 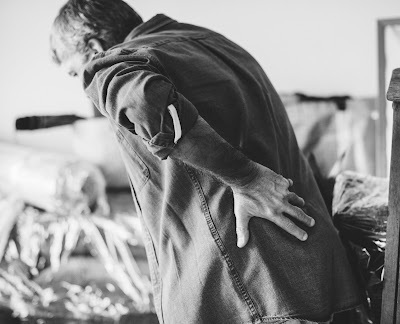 Lumbar support devices provide enough support and compression for the lower back to allow healing to occur,” says Christopher Cousins, a physical therapist based in the District of Columbia. Lumbar devices basically fits around your waist and are secured with Velcro. They often have a plastic or steel plate attached to the section that would press against the lower back of patient to provide support; some have over-the-shoulders straps. Surgery is done in slip disc when the bone bulges out or dislocates at very much extent but in most cases, it can be treated well without surgery. There are few yoga poses which really helps in relieving sciatica(slip disc) pain. Ustrasana is an asana which is back-bending yoga posture known to open Anahata (Heart Chakra). This asan adds flexibility and strength to the body and relieves back pains and also improves digestion. Locust Pose or Salabhasana effectively prepare the beginners for deeper backbends, strengthening the back, legs, and arms. Exercising is a major prospect of slip disc treatment. Having a proactive approach towards the recovery of your slip disc with physical exercise will decrease your pain and ensure the good long-term condition of your spinal cord. Some Slip disc exercises are doing yoga, moderate aerobic exercises like walking, swimming, and biking help in relieving the pain of a slipped disc. But before doing any slip disc exercise consult from your doctor. He will tell you which exercise will suit you better. He may also prescribe you dynamic lumbar stabilization exercises. Maintain an exercising program which will keep your spinal cord flexible and strong. Lift heavy things in right posture, bend down and lift it on your knees not on your waist. Do not sit for longer periods. walk for few minutes and sit in the right posture.